Nearing the end of his world tour, composer Hans Zimmer brought his live concert show to L.A.’s Shrine Auditorium, where 6,000 fans screamed and cheered to his iconic themes from The Lion King, Pirates of the Caribbean, Inception and many others. I attended the Friday-evening concert and filed this report for Variety the next day. The photo at left, incidentally, is the cover of the $10 “souvenir program” — which turned out to be worth the price for its set list, Zimmer interview and thoughts by several of the musicians performing with him. 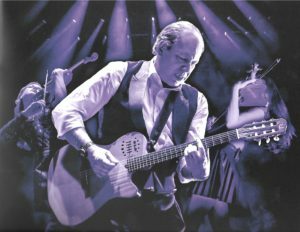 This entry was posted in Uncategorized and tagged Hans Zimmer, Hans Zimmer Live, Shrine Auditorium, Variety, Zimmer concert tour on August 12, 2017 by Jon Burlingame.